Android Training in Chennai provided by Credo Systemz is entirely hands-on and practical training. Credo Systemz is the Right choice to learn Android Training in Chennai. Our Android training course content is designed with the consideration of current industry Job requirements to provide in-depth knowledge on Android App development training in Chennai. Our Trainer is having extensive knowledge in Android development with more than 10+ years of experience in IT industry to deliver effective Android App development Training in Velachery Chennai for beginners and experienced professionals. Android is a most popular mobile operating system developed by Google. A mobile platform which consists of Linux kernel, middleware and some key applications which is available for devices like tablets, smartphones and more. It is an open source that means anyone can customize and modify the operating system. Using Java language to write the code and able to run the multiple apps at the same time. Till now, No other software replace the Android platform, it is a powerful mobile operating system in the world. Who can join this Android Training Program? Gain knowledge about the basic concepts of Core Java which is required Android App Development. Strong knowledge in Android Architecture, Layouts, Widgets and Implementing Event Receivers in your android application. Complete hands-on experience in Android custom UI elements and positioning. Understanding Android services and broadcast receivers. Become Proficient in Android Development tools such as Android Studio, DDMS, Listeners, Drawables, and Activity Lifecycle. Get trained from our Expert Android Professionals. The main benefits of our Android course which Covers from basics Java concepts from Scratch that is used to build an Android application. The Android course content is designed by the experts in the technology to meet the industry standards and to enhance the skills for an individual. Offered the best training for Android App Development and also guide for your Career Opportunities. During the Android Course, Our Experts will help you to accomplish your own idea into an app. Android App Development Course Duration - 70 Hrs. Android Training Covers with Core Java. We provide softwares which are Necessary for Android App Development. Interactive sessions about latest updates in Android. Android Training with Hands on App execution. You will learn from Real time Android Applications. Fully Practical Oriented Android Training in Chennai. Android Training in Chennai with Job assistance. Training from highly qualified and experienced trainers. The demand for the technically proficient resource is soaring and reaching unprecedented heights in the last quarter. This is the golden period time to get into Mobile app development and specialize in Android programming.Our Android Training Topic is designed in a model in which one can easily find a job in Android app programming on the completion of the course in 45 days best android application training institute in Chennai. If a person is not interested in working with others, they can develop mobile apps themselves and release the same in Google Play, thus making money. Real-time Practicals Implementation of Inheritance with objects, methods. Implementing Interface in a simple java class. To create java class with polymorphism. Real-time Practicals Experience with android studio initial setup, creating new project, folder structure and manifest. Real-time Practicals Design a template with the use of Layouts and views. Real-time Practicals To create first activity that follows the activity life cycle. To create an activity with multiple fragments. Real-time Practicals To experience with the explicit intents. To create more than one activity and transfer data from one to other using intents. Real-time Practicals Implement adapters and its types. Real-time Practicals Implement Menus and dialogs. Real-time Practicals Integrating Database with the android application to understand the usage of cursors. Real-time Practicals To learn about accessing external database, JSON parsing with the help of REST API. Live Project Develop an android application with your own concept and publish it in Google Play. Detailed instructor led sessions to help you become a proficient Expert in Android. Build a Android professional portfolio by working on hands on assignments and projects. Lifetime access to downloadable Android course materials, interview questions and project resources. You can also freelance for Android programming or create your own apps and become indie developers. Few apps like WhatsApp (US $ 19B), SnapChat (US $ 3B), Instagram(US $1B) are being bought by Internet / Social Media giants companies.Other apps like Pokemon Go, Angry Birds, Fruit Ninja, Waze are raking in millions of dollars to its owners. With such numbers, it independent mobile app development becomes lucrative to take up independent mobile app development as a career option. First step to start with to be Best Android app developer. Credo Systemz provides Best Android Training in Chennai with 100% Free Placement Assistance. 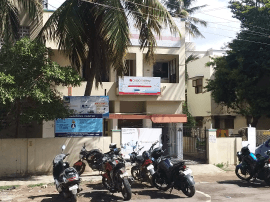 Also Based on various reviews across the Internet, We Ranked No.1 Android Training Institute in Chennai, Velachery.Our approach to training is very much unique compared to other Android training institutes in Chennai, Our Android Training in Chennai seats as Best Android Training Institute in Chennai with the capability of providing training with Job assistance. Credo Systemz Android course in Chennai has received high positive feedback and reviews for our Android Training in Velachery, Chennai. Credo systemz provides you a completely designed the training program for IT job market demand. We ensure that our Android training covers beginners to advanced concepts with practical oriented sessions. Where to begin for learning basics of Android App development? CREDO SYSTEMZ is the BEST Android training center in Chennai. Our Android trainer has Eleven years of Industry exposure and five years of Android App Development experience. The course is designed in such a manner that you should develop an application by the end of the course with assistance. You can also develop your own ideas into Android applications. We provide technical assistance for a candidate to develop his own idea from the concept stage to post-release support stage. Most of all we also encourage the trainees to publish their own Apps in Google Play store. Most noteworthy we are providing the BEST android training and placement assistance for beginners as well as experienced professionals. 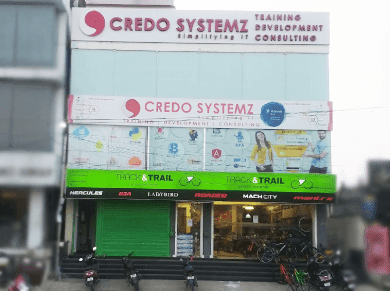 CREDO SYSTEMZ is named for the Unique attention each and every candidate receives from us while learning the Android Training in Chennai. Our Expert level Professional Android Training in Chennai classes will helps you to develop your own Android App. Our Android Training course content was designed in a way which made us the best Job based Android training Chennai. 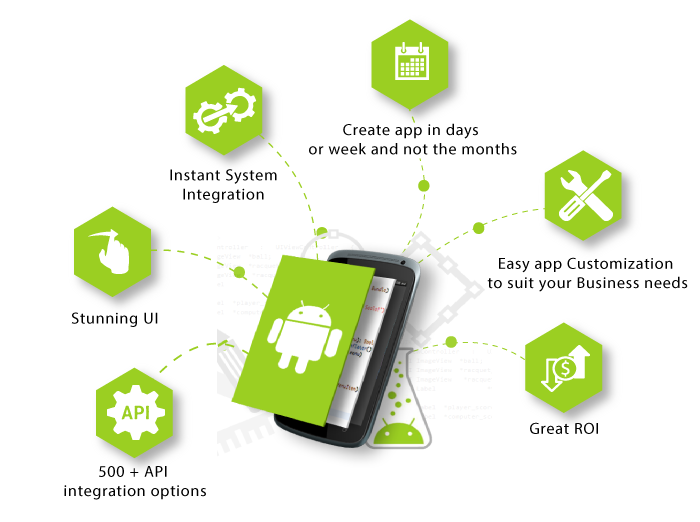 CREDO SYSTEMZ also offers Android corporate training for Android App Developing companies. Offers available for Students & Fresher candidates for Android Training in Chennai Velachery. Android Training by highly experienced and working professionals. Our Android trainers are technically friendly, and they are always ready to attend to your queries. Our coaching is unique because from day 2 you will start your first android app development. We have got the great infrastructure for you to keep practicing on your own time. We improve every day because we value each of our customer’s feedback. Credo Systemz offering Various mobile technology courses in Chennai. Our Android Tutorials are best one for Developers and also for Beginners. Best android training institute Chennai with Real Time Projects rather than theory Oriented. Android Training Certification will be provided after the completion of the Course. Should we know Java Basics before learning Android? Java is the language used for creating Android Applications. So, the knowledge of Java is mandatory to learn Android programming. We use lot of concepts and techniques in Android, which are borrowed from Core Java programming. We can use the Java library classes inside the Android while Android has an extensive library by itself.Without Java fundamentals, it is not possible to learn Android. The knowledge of Core Java, XML and design principles will enhance and speed up the learning process of Android application development. Who is eligible to Learn Android? Anyone who has enough interest and curiosity to learn Android development is eligible to learn Android Application development. For those with Java experience, it is a natural progression from Java development into Android application development. We can get into Android application development by showing experience in Java development and good knowledge of Android and its libraries. Even school kids can learn and start app development if given a correct stimulus and with hard work and determination. How hard to learn Android? Android is not at all hard to learn. Once you are through the basics, everything in Android is abstracted from the developer thereby making the learning very straight forward and clear. We have taught Android to school students from SEVENTH GRADE. They have developed small apps in their summer holidays. It is that easy. There are pre-built tools for Android development which makes lives easier for beginners and professionals alike. Can I get certificate after the course completion? Yes, you will be awarded with a Course Completion certificate at the successful completion of the course. The certificate will have your photograph and the credentials. More than the certificate, you will learn how to develop an Android application, test and host it on Google Play Store as part of the course. We can host it on Google Play Store on our account on your behalf. We will also guide you on hosting the same in your Google Play Developer Account. Google has recently introduced a certification for Android Development. We even encourage all the candidates completing the course to take it up and become a Google certified Android Developer. Google’s certification for Android costs around USD 100 (or) INR 6500 approximately. Will you assist in placements post training? We get lot of request for candidates trained in Android with hands-on development experience and at least 1 or 2 applications hosted on Google Play Store from corporate HRs. We have placed bunch of candidates in start-ups and we have had scenarios where a single candidate had three offers in hand at the same time. Also we have candidates who have bootstrapped their own development company as well as MNC employees who migrate from one technology to another. We even have a dedicated framework for referrals, placements and interviews. Post training, we conduct mock tests, mock interviews and daily coding challenges thereby preparing the candidates on a daily basis for the selection process. We do assist the candidates in every step of the way till they get a suitable placement of their choice. We are conducting Android free workshops and Seminars by MNC Experts, free walk-in drive for freshers and experienced professionals – Here is our few latest events. What Types of Batches are going and what are the timings ? (1) Weekdays batches – Monday through Friday daily on mornings (1 hr to 1.30 hrs per day). (2) Weekend batches – Saturdays and Sundays only (2.30 hrs to 3 hrs per day). Both the batches will be conducted professionally on pre-allotted timings. The assignments are given and graded for the quality and standards of the solution in addition to the robustness of the solution. All the batches will have defined amount of duration for its closure. Which is the best Android Vs iOS ? Android is the best because it’s not require an expensive resource and budget, anyone can build an application. And in case of iOS you need to have a mac, iPhone or iPad to build an application in iPhone development which is so expensive for students who are fresher. So if you do not have an expense for resources then you have to first choose Android development. Are the Students offered any sample classes before enrolling for the course? Of course, you can attend Free Demo sessions before you join the course. After the course completion, We will conduct Three Mock Interviews. In the Three Interviews, We will figure outs Your Technical competence and where to Improve etc. So after the Mock Interviews, your confidence level will high and it will helpful for facing the interview successfully.